I had heard rumours about this, but poo pooed it as gossip. Ok so now the records at the Portage Museum show several patterns as Imports from China. Even the shapes are different to anything else I've seen, let alone the patterns. I wonder what the backstamp reads on these, or if they have any?? I'm more than a tad disappointed, as this is what Crown Lynn did, make dinnerware. Had you heard this before? 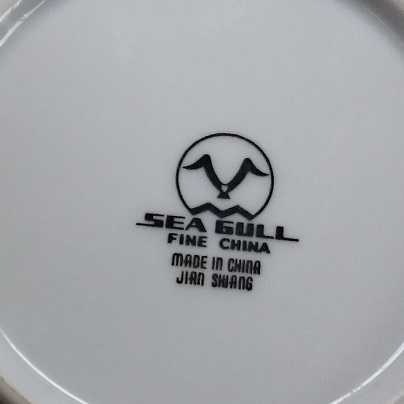 Re: So Crown Lynn did import dinnerware from China or Spain? Some imported pattern info and these are all from around 1988. 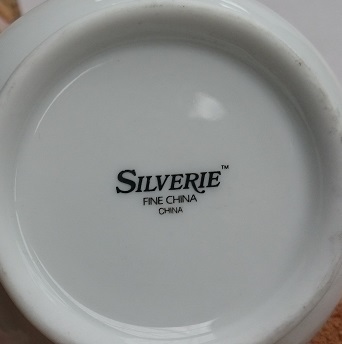 Silverie - Found and on the site. Seagull d41600 - Listed on Trademe. Photo now on the site. Ev, I have a few questions. 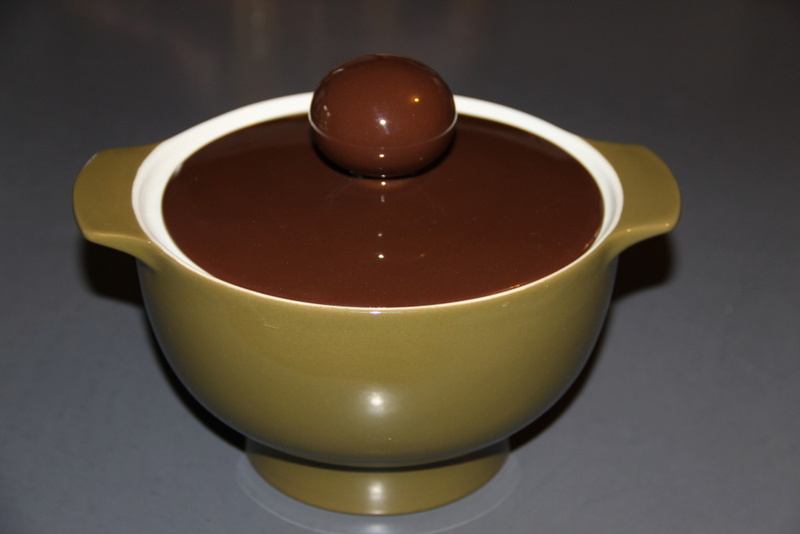 Did Crown Lynn only import the patterns or also the moulds for the shapes? Which shapes did you see in the records? Are these records assessable on the P. Trust website for everyone to have a look at? I typed in the pattern number d40200 on the forum and it showed the Damask d40200 that is in the gallery. What does the Chinese pattern Bellavista Blue d40200 look like? Hi haselnuss, this is all new information to me that I came across while researching the Crown Lynn Archives at the Portage Museum, so I can only reply with limited knowledge. 1. It looks like Crown Lynn imported the dinner sets. 2. I see different shaped cups, but one sugar looks very familiar. 3. None of the Archives are on the Portage Museum website. There is an enormous amount and I want to check them all out. 4. Not all of these patterns have photos, but the ones that do are not familiar to me. All of the material is covered by Copyrights so we can't just put them on the site without permission. 5. There is no photo for Bellavista Blue, it is on a list of Imports from China. Perhaps more will be revealed when I find some relevant info. This Crown Lynn ware called Donna has bothered me for years. It gets listed on ebay and it just looks like imported dinnerware to me. Oddly enough I've never seen a backstamp, although there are regular listings. 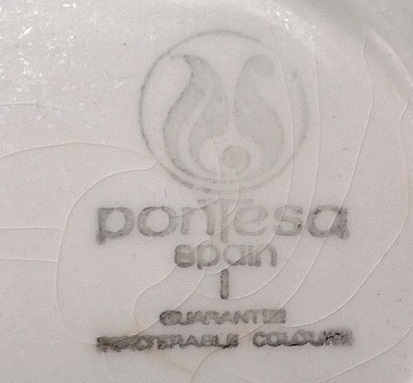 I found a Pontesa Blue d40200 saucer today and need my telescope lens to read what is on the base. It matches the photo in the Crown Lynn archives too. I'm doing too many things at once as usual to do any properly, but I will get to posting it and working out what the writing says on the base. 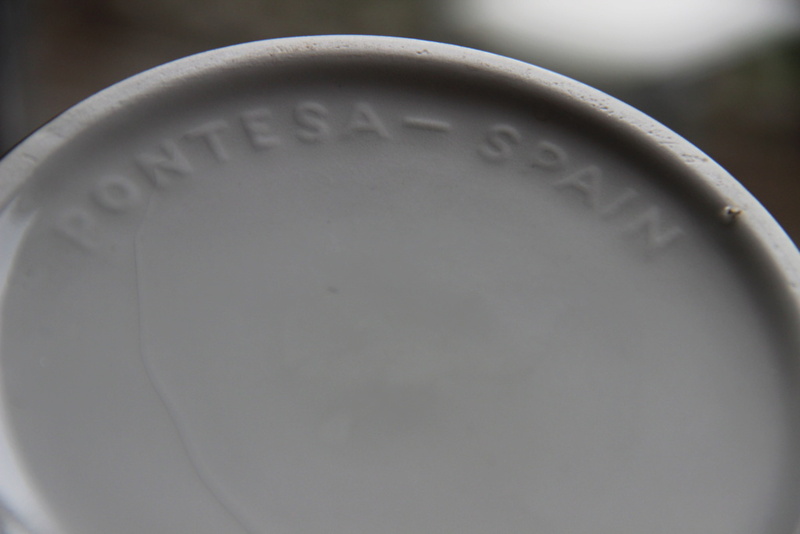 Oh my giddy aunt the base says this was made in Spain, so I will have to check this all out again when I get time! 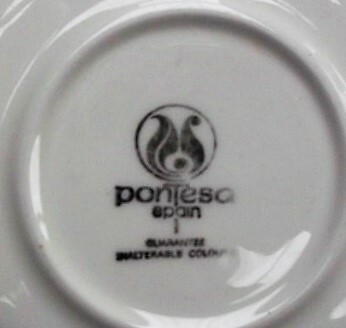 Pontesa Spain and there is subtle scalloping on the edges of this saucer and much crazing. I thought it also said on the base 'Guaranteed Microwavable Colour' but I'm not sure now. 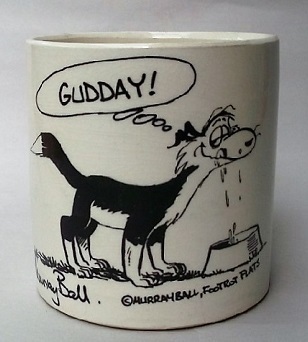 It will be ever so hard to find these patterns because the back stamp doesn't mention NZ or Crown Lynn. Photo for a short time from the Portage Museum.. I'm still trying to locate the record of the pattern name.... and I found it!! Seagull - Decoration d41600 45pc sets. $85 per set for 100 sets or more. 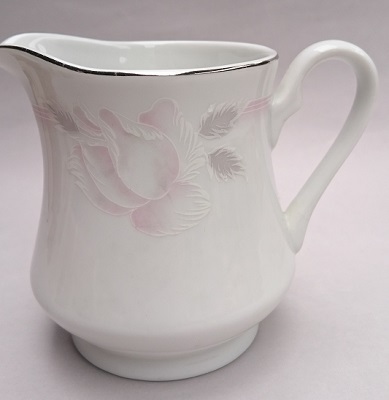 Unbelievable I know but today I found a Silverie jug Made in China and only recognised it from the shape. Won't get to post it for a couple of days. Do these go into the Patterns Gallery? I wouldn't expect any of these will ever be collectable, but I like to know stuff like this and not have it as just a mystery. 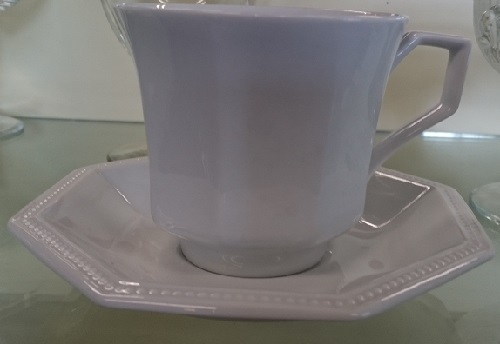 This is rather classy for Made In China and has a platinum lustre ring on the rim and a slash of it down the handle. It has the feel of strong china and has a translucent look about it, not at all like the ghastly stuff available today. 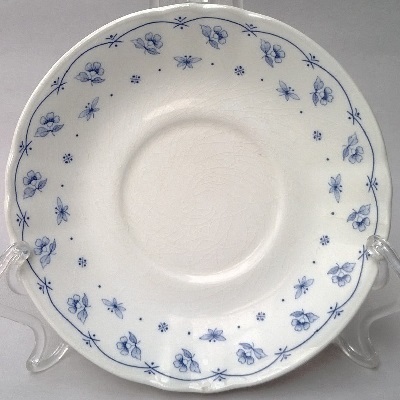 It has come to my attention that Lorraine Wilson from the Portage Ceramic Trust has a dinnerset in one of the patterns in the first post, so I must follow this up. 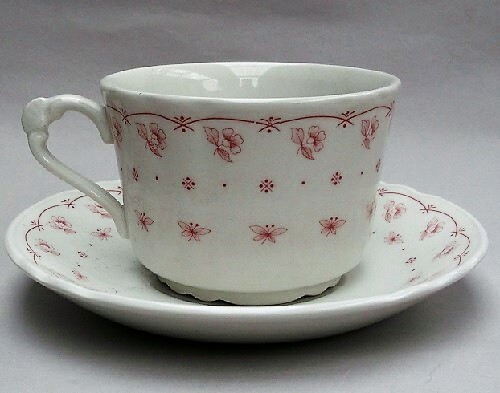 Pontesa Pink d40100 cup and saucer! Not sure if we should add these to the Crown Lynn Patterns Gallery .... what do you think about that? Pontessa Spain. I picked up 2 neat looking casseroles today. I thought these have a Crown Lynn design look about them. I wonder if they imported lines to replace what had become too expensive to make themselves. I've only seen the Dinnerware sets that Crown Lynn imported from Spain ....?